Share the post "Vegan Fashion Week: ethically elegant"
We, as consumers, make use of enormous quantities of resources. Fashion is one of our most conspicuous consumption, as beyond the basic level of comfort, it is also associated with notions of self-identity and social conformity. Trends are followed, some things become ‘in’, as they phase ‘out’ others. Such fast fashion has created an easily disposable form of consumption and instant gratification, wherein consumers are encouraged to gorge on whatever is ‘in’ and dispose of ‘out’ trends. This disposable culture has a considerably large impact on the environment. The clothing industry alone is one of the biggest industries on the globe, using energy, water and generating waste on a colossal scale. The fashion industry needs to align with the notion of environmental sustainability and ethical production, and is indeed waking up to that, albeit slowly. Emmanuelle Rienda, a French fashion stylist and animal rights activist, is producing and curating the first ever Vegan Fashion Week which will run from February 1- February 4. It will be held at the Natural History Museum in Los Angeles, which seems an appropriate location for this earthy event, with spectators to be seated amidst on-looking artificial animals. This novel fashion week is already the talk of fashionville and is being lauded for the initiative towards more accountable fashion. There is also a flip side of commentary, but everyone is besought with curiosity. The line-up includes avant-garde designers displaying their vegan fashion pieces, like Japanese team Comme des Garçon and actress/designer Rooney Mara, brands like Chanel and Stella McCartney, who are looking to experiment with more earthy materials. The Fashion Week will be serving vegan food and will have panel discussions on vegan fashion and its future prospects with growing sense of conscious of brands and consumers. Vegan fashion implies that the materials for production of clothing are sourced without harming animals and completely originate from plant-based sources. Uses of natural dyes, cruelty-free silk, faux fur and synthetic wool, even leathers made from apple and pineapple fibers are some practices in vegan fashion. Vegan fashion is defining a sense of ‘sustainable luxury’, and the Vegan Fashion Week is a perfect showcase for this. Rienda envisions an expansion of the event to all major fashion capitals in the near future. 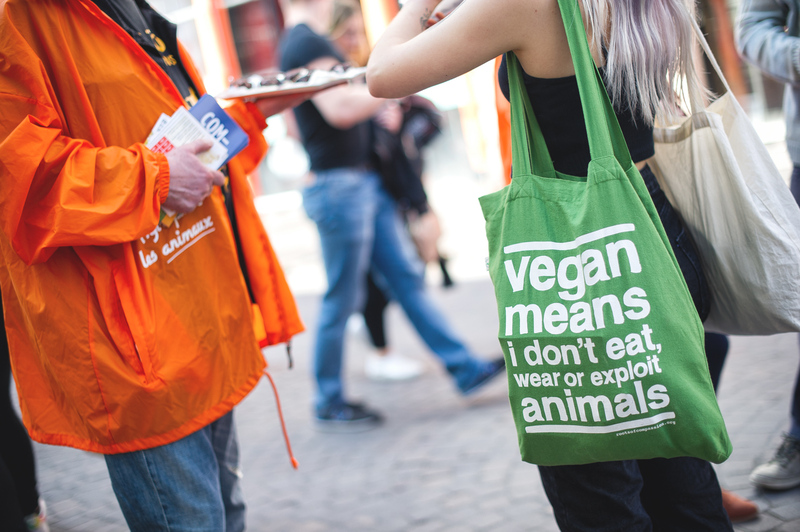 While vegan fashion on the catwalk comes at a cost, every consumer can do their bit towards the environment through fashion choices by upscaling second-hand clothing and attending Swap Shops. An ethical fashion statement does not have to cost the earth. Previous articleBounce into the New Year with UCD Trampoline Club.